Photographs will be on display for public viewing in the Community Building located near the South Admissions Gate. They are available for public viewing on Friday and Saturday. 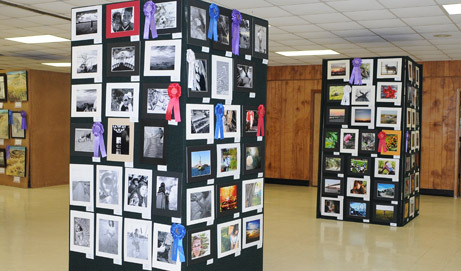 A few entries from 2011 Photography Contest on display. Note: If you are interested in participating in the Contests, please visit the Photography Contest or Art Contest sections of the website to download entry forms (includes details and contact information for Chairmen).